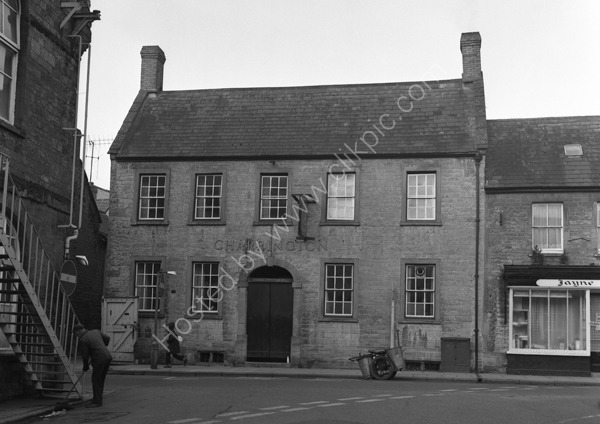 The Kings Arms in Crewkerne around 1974. An old fashioned road sweeper (man with a brush) is seen sweeping while his dust cart is outside the pub. For commercial use of this photograph please visit www.alamy.com and search for AA2JEF but for a one off print, please see below. Location: 15 Market Square, Crewkerne, Somerset TA18 7LE England.